JUST REDUCED!! PRICED TO SELL!! Great opportunity in the heart of Lake Mary at desirable Lakewood at the Crossing. This home has been freshly painted in neutral colors, ready for you to make it your own! As you enter you will notice the spacious family room, featuring vaulted ceilings, and brand-new carpet throughout. The French doors off the family room bring you out to an inviting screened-in back porch in a private fenced-in back yard great for entertaining family and friends! This home also features a large kitchen with great natural lighting, plenty of storage room and beautiful modern tile in all the wet areas. The master bedroom is on the first floor with its own private bathroom. The staircase leads you to the secondary bedrooms and bath. Laundry hook-ups upstairs and in the garage for you to decide where to place your laundry room. 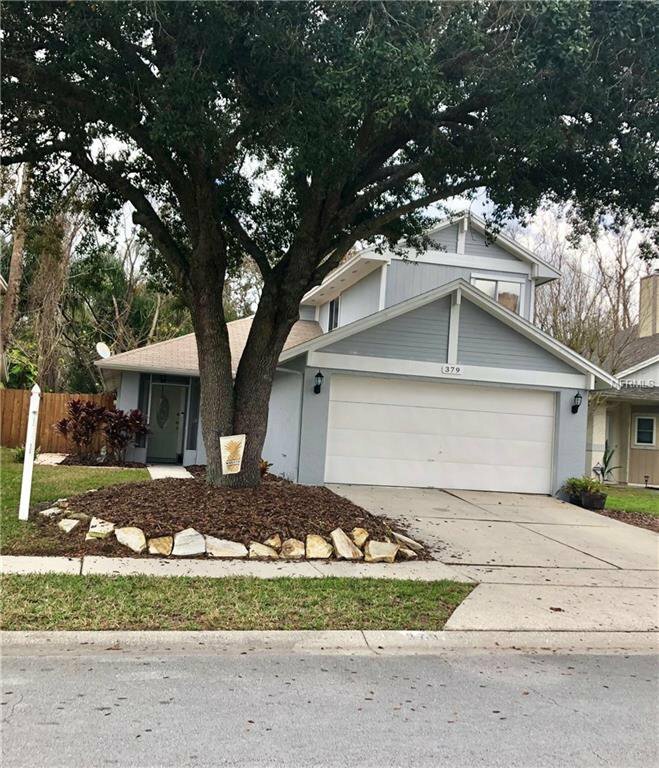 Fantastic location near Lake Mary’s top-rated schools, minutes to shopping, restaurants, and Sunrail, I-4 & 417. You will be near parks, fishing lakes, Seminole Trail, the YMCA, and Library. You will want to see this one! Listing courtesy of URBAN CITY REALTY LLC. Selling Office: WEMERT GROUP REALTY LLC.